Survival/Rescue operations demand a versatile knife able to withstand the most extreme abuse. The SRK® (Survival Rescue Knife) was designed specifically with this in mind. The blade is finished with a rich Teflon® coat which helps to protect the AUS 8A Stainless steel from the elements. It features a tremendously strong clip point that�s fine enough for delicate work, yet possesses enough belly for efficient cutting, slashing and skinning strokes as well. 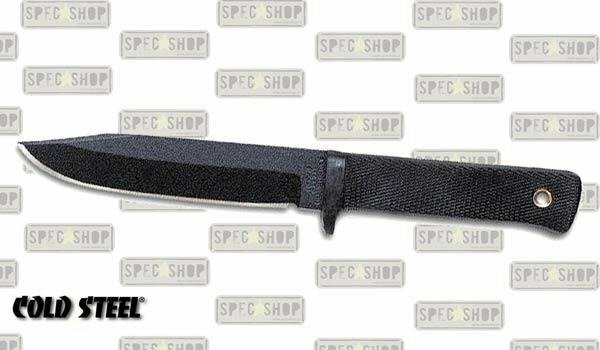 At 3/16 of an inch thick, the Survival Rescue Knife® offers the sturdiest possible point and edge configuration, without sacrificing sharpness. The SRK�s® handle sports a single quillion finger guard and a deeply checkered Kraton® grip.